Last week we talked about Yokobue and how it felt more alike a community brewery than a commercial brewery. This week we cross the street, literally, to visit Honkin. Honkin is probably the most unique brewery of the 5 breweries of Suwa in the fact that it is run more alike a family owned business than a company business. 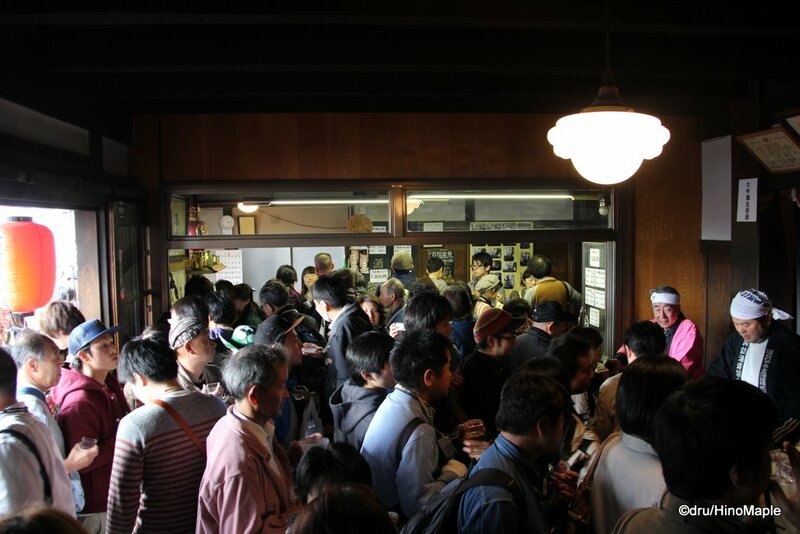 Honkin is the smallest brewery, or the most subdued brewery in Suwa. Their shop, if you can even call it that, was extremely small. It occupied the entrance of their brewery and looked more alike a factory entrance than anything else. I was a little surprised as the other breweries have a better setup. During the festival they open up the entire shop area and just keep serving people nonstop. 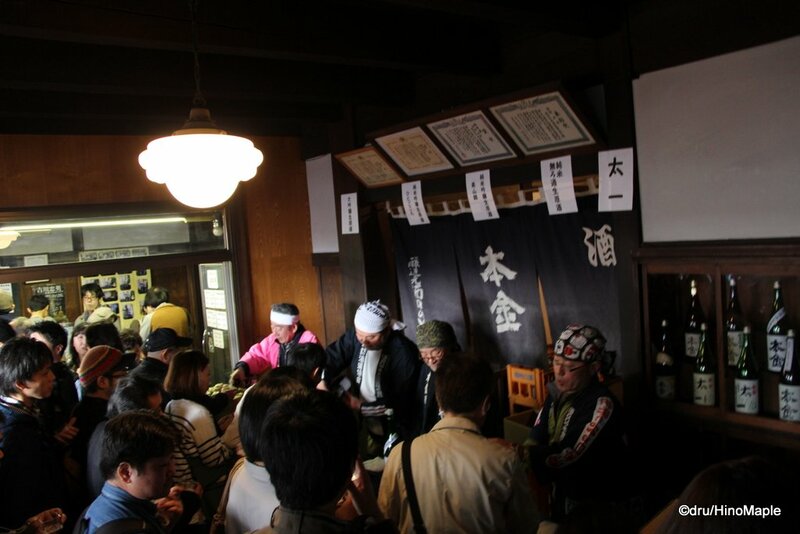 It was a bit of a mad house as they really didn’t have much space for people to linger and it was tough to just enjoy the sake and get out. They had some loud people there as well but that is normal with any drinking festival. Honkin is a pretty old brewery that was started in 1756 and is currently in its 9th generation of ownership. It has been passed down from generation to generation and they really play this image to the public. You can even “meet the brewery” on their Japanese website and you can see pretty much everyone who works there. I was even helped by one of those people in the shop. The shop area, as I mentioned, is pretty small. You almost feel as if you are entering a restricted area rather than the public area. I was hesitant to ask the woman for a little taste but after a little while I did. There really isn’t much space to do anything and the display was pretty small. I just sampled a couple and bought a bottle. The person who helped me was pretty kind and helpful but with what looked like a small operation she was pretty busy and hard to approach. Once I did make the first move, she was pretty open and helpful to me and it was a lovely experience in the end. 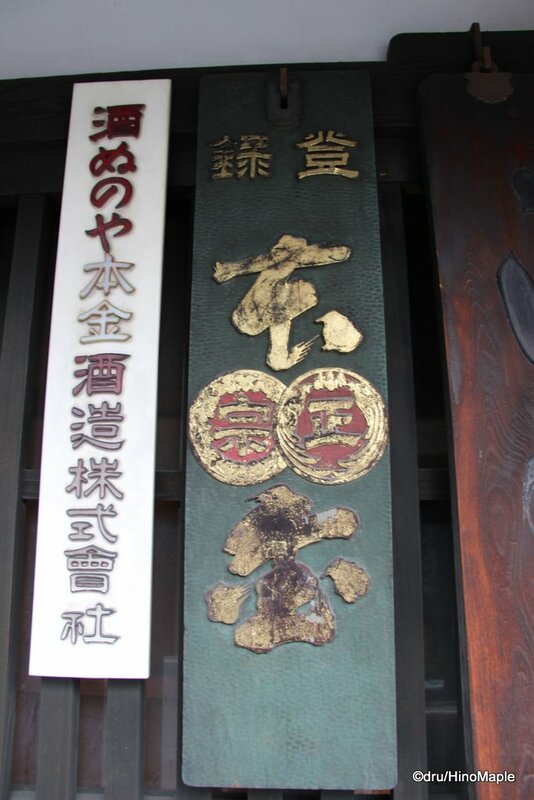 This entry was posted in Chubu, Chubu Food and tagged Honkin, japan, nihonshu, Nomiaruki, sake, Suwa by Dru. Bookmark the permalink.